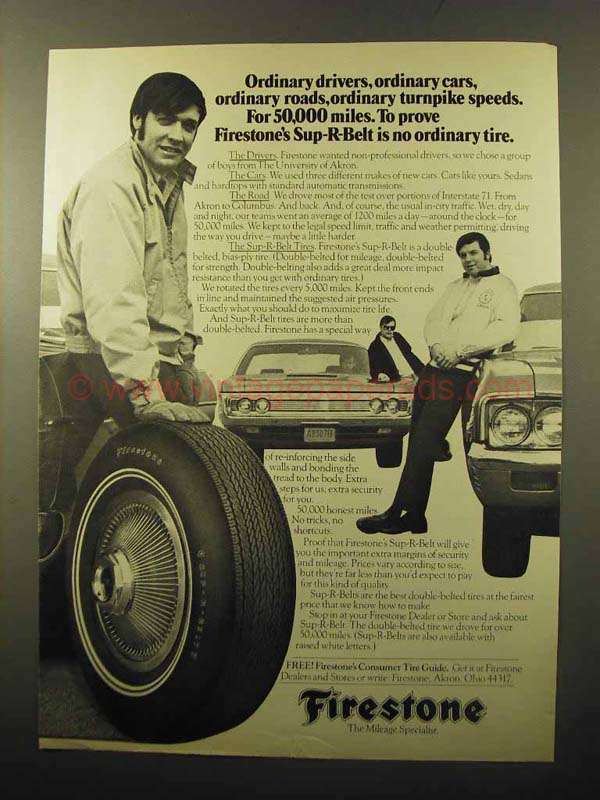 This is a 1970 ad for a Firestone Sup-R-Belt Tires! The size of the ad is approximately 8.5x11inches. The caption for this ad is 'Ordinary drivers, ordinary cars, ordinary roads, ordinary turnpike speeds. For 50,000 miles. To prove Firestone's Sup-R-Belt is no ordinary tire' The ad is in great condition. This vintage ad would look great framed and displayed! Add it to your collection today! 1966 Firestone Super Sports 500 Tire Ad - 125-m.p.h.